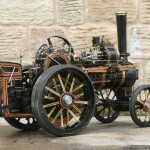 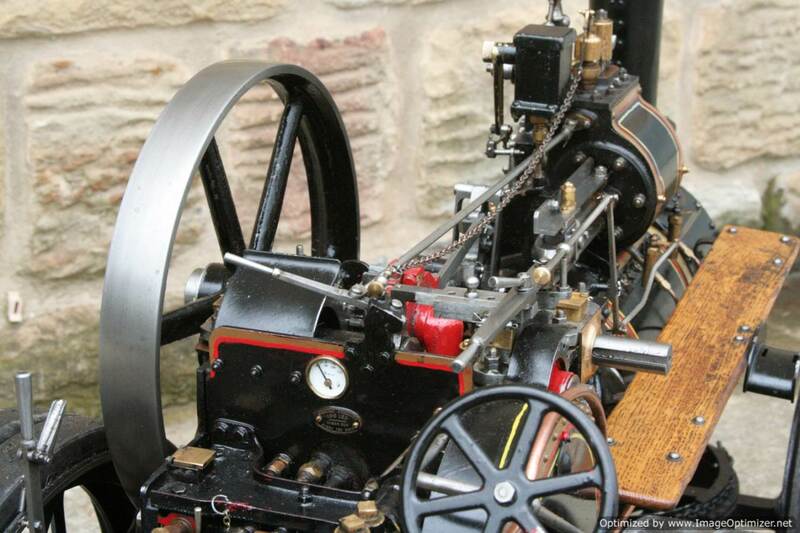 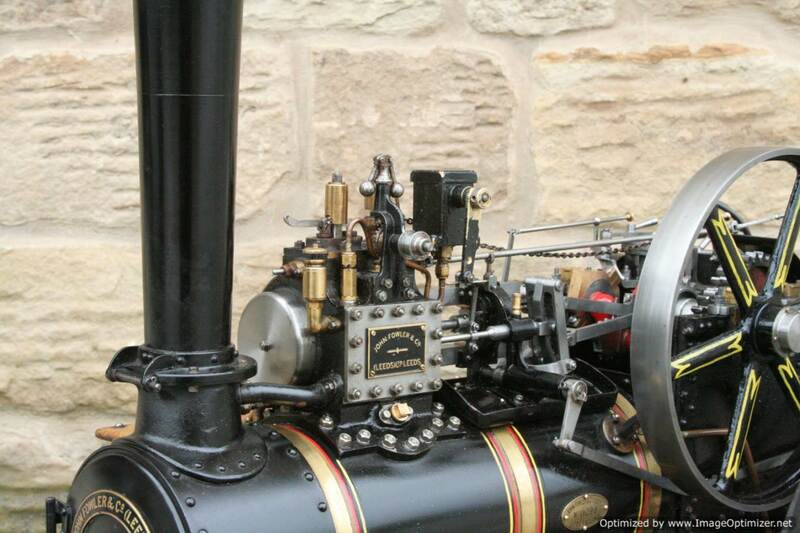 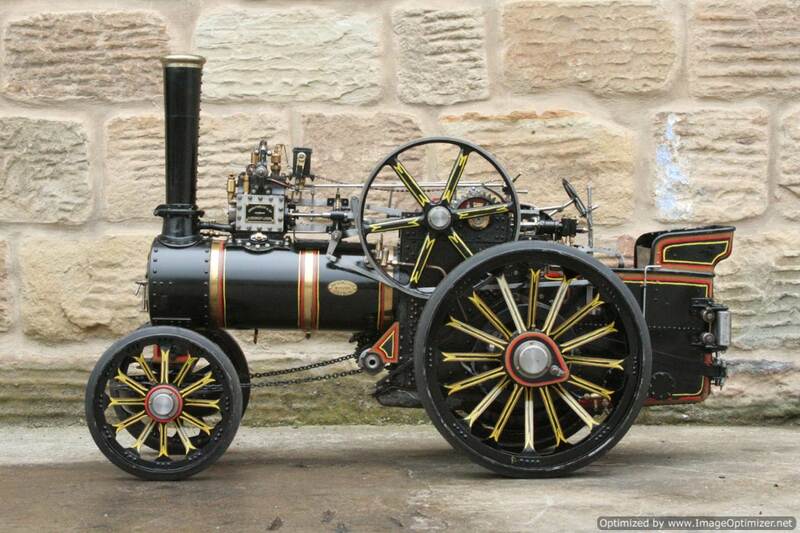 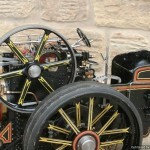 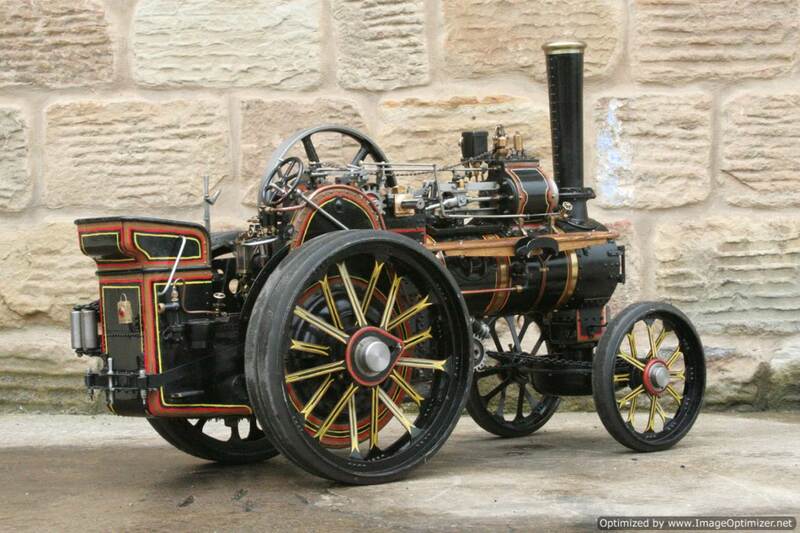 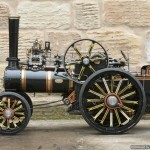 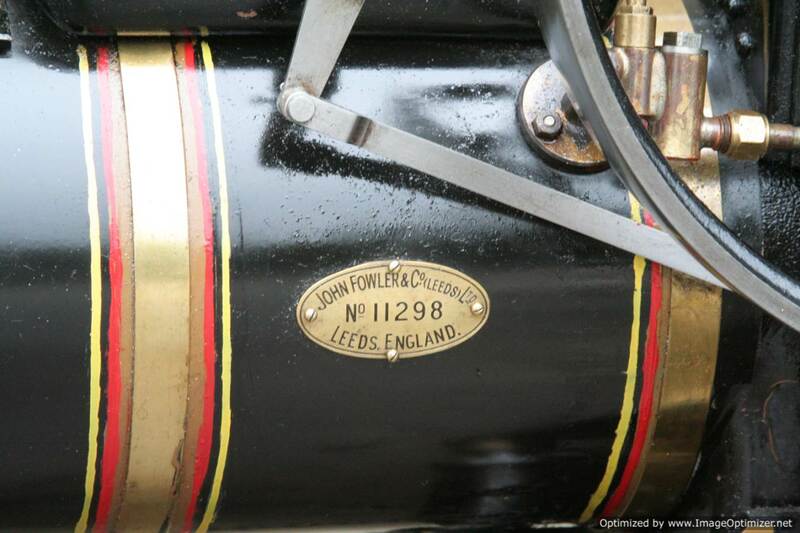 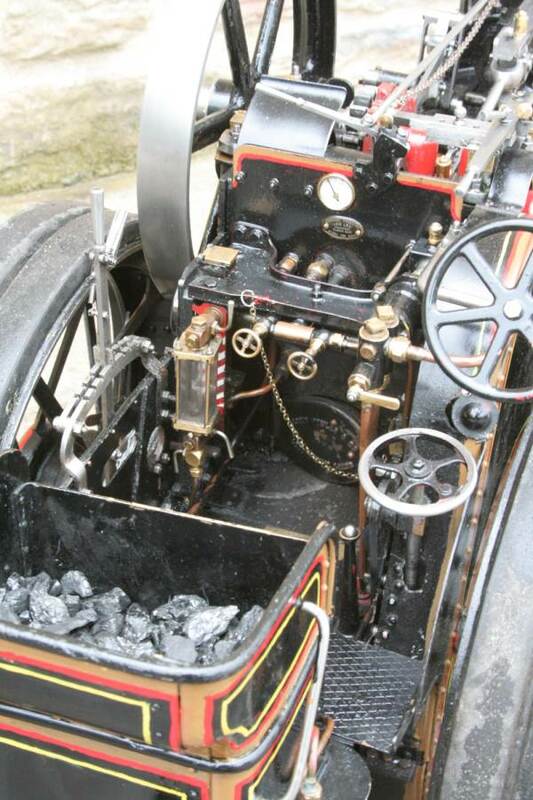 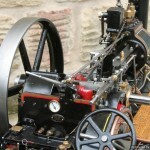 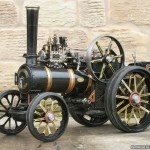 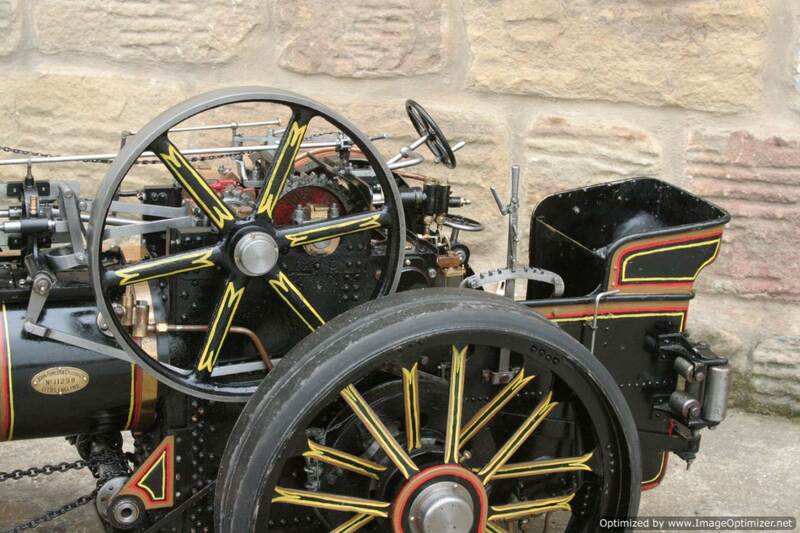 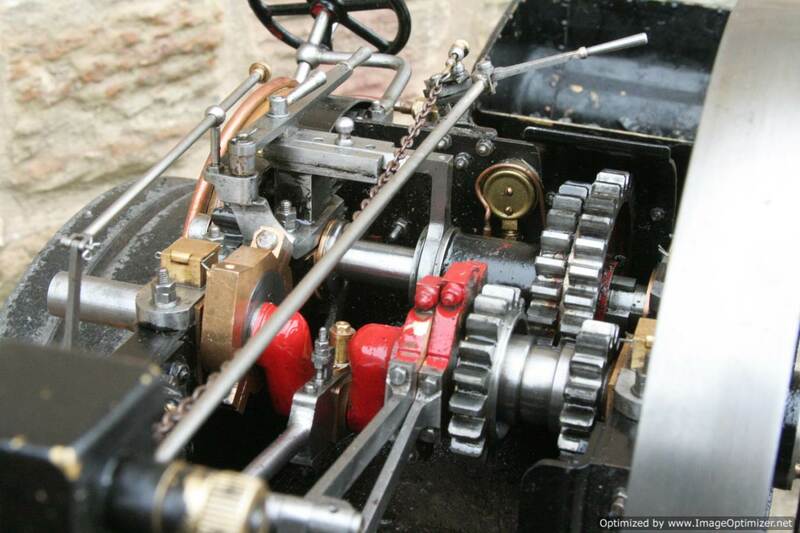 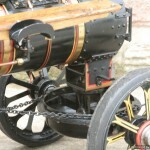 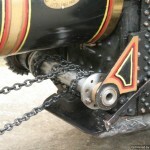 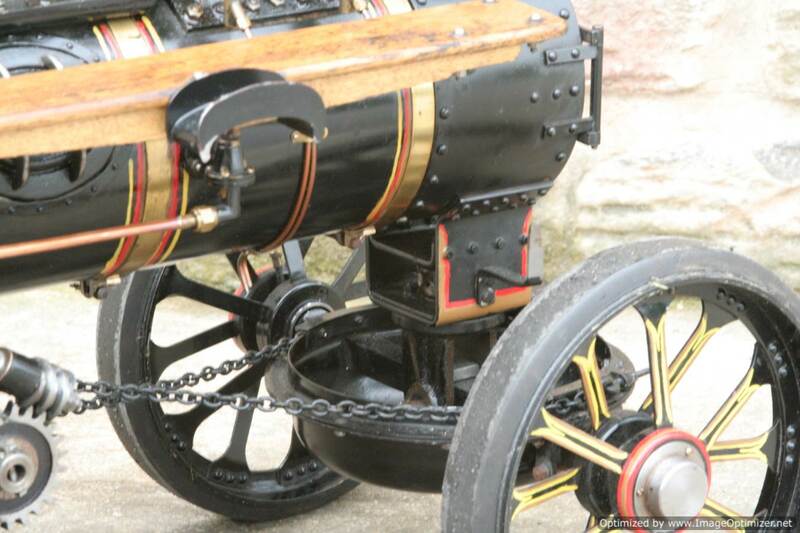 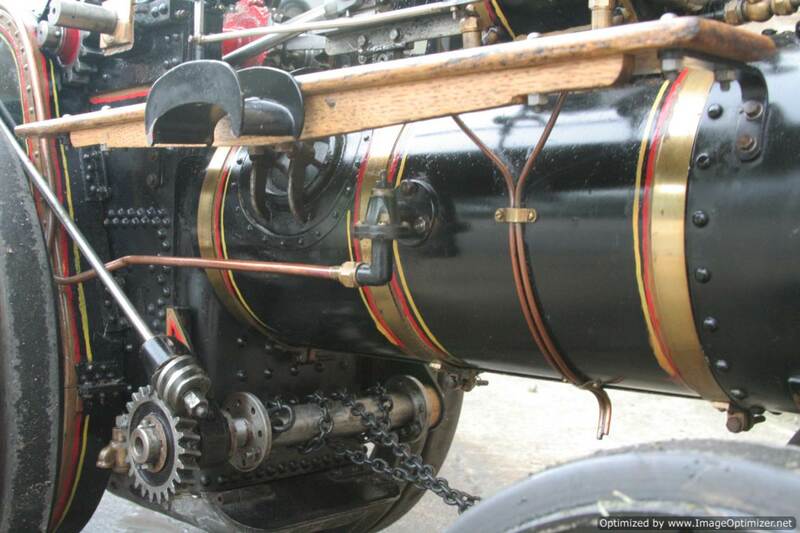 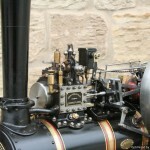 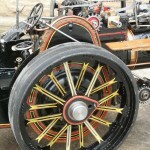 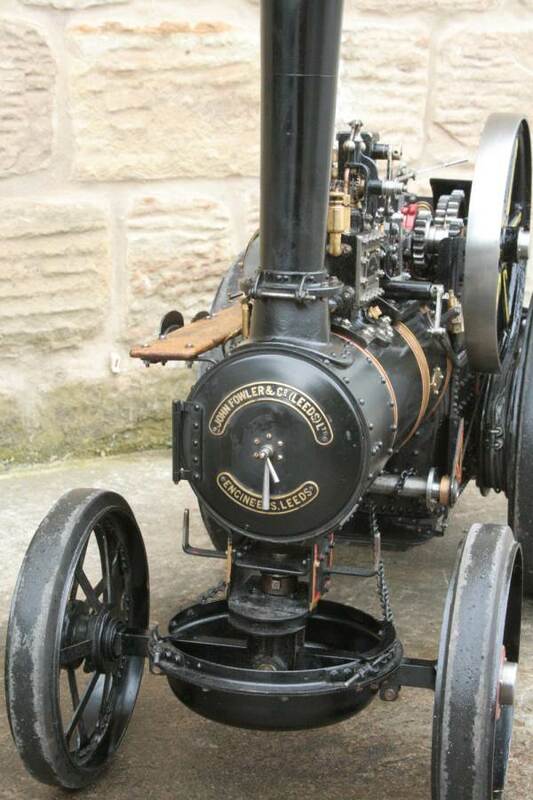 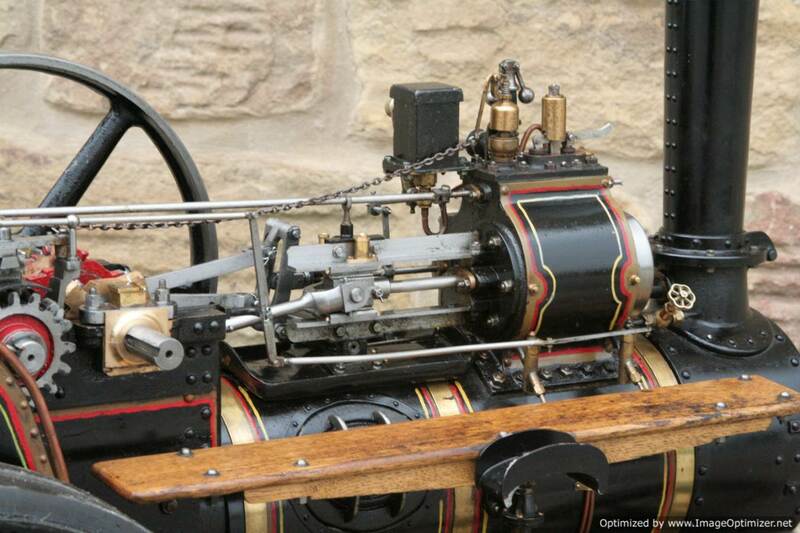 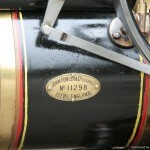 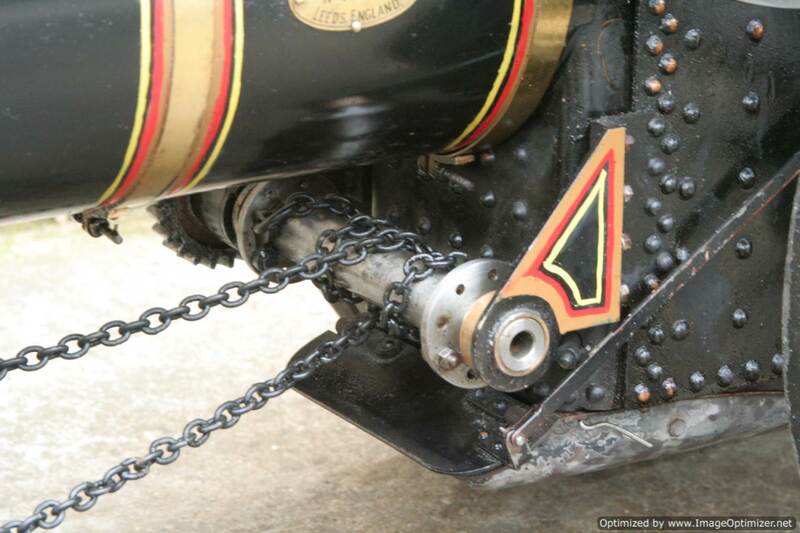 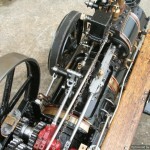 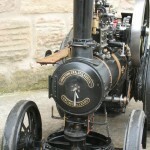 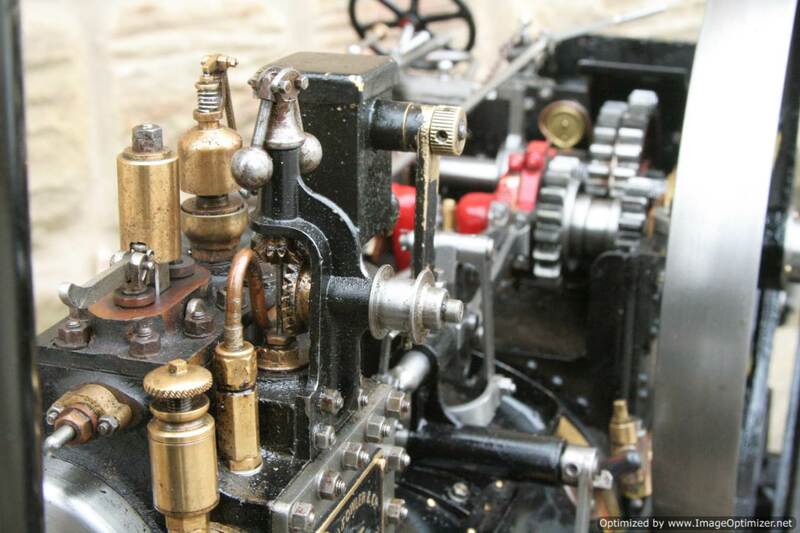 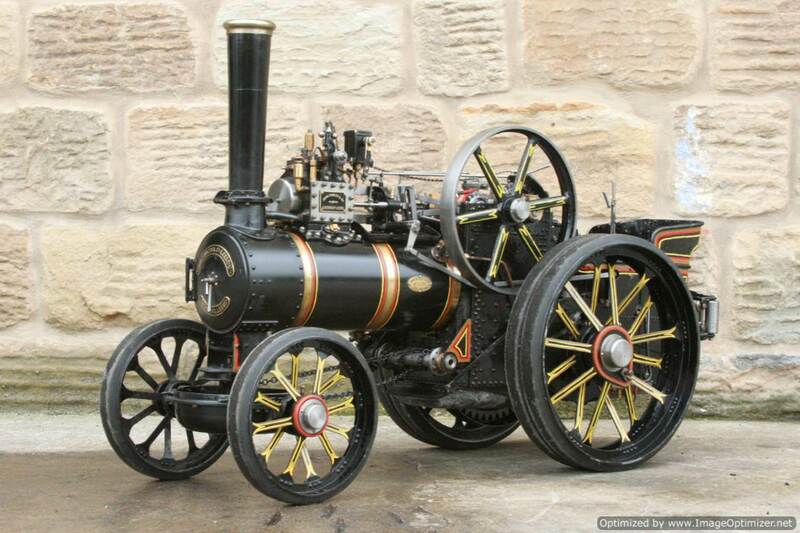 Here we have a nicely made 2″ Fowler A7 traction engine, built to the MJ Engineering design. 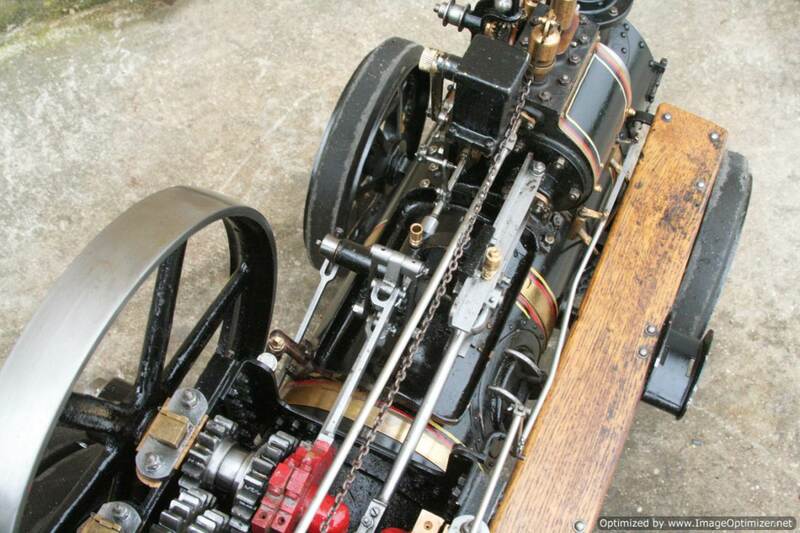 This is a used, but generally mechanically very tidy machine. 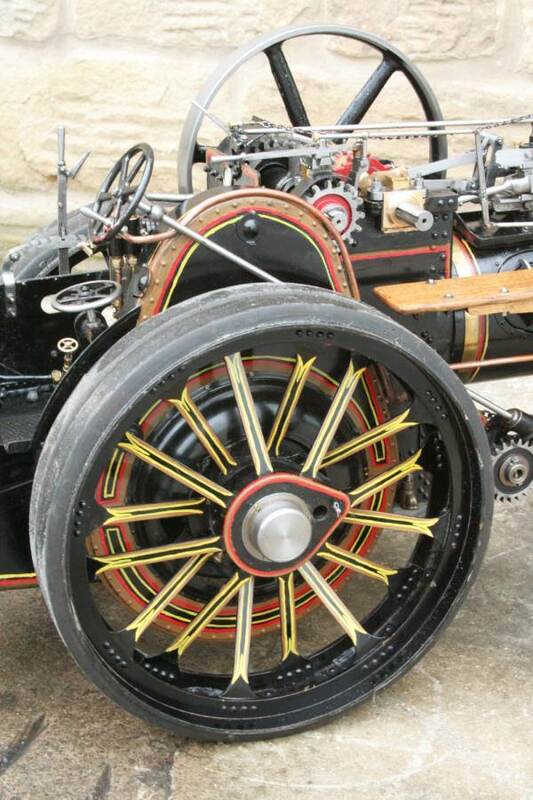 The paintwork could do with the odd touch up here n there, and lining unfortunately leaves a great deal to be desired, having been applied freehand but by the looks of it with a brush rather than any proper lining tools. 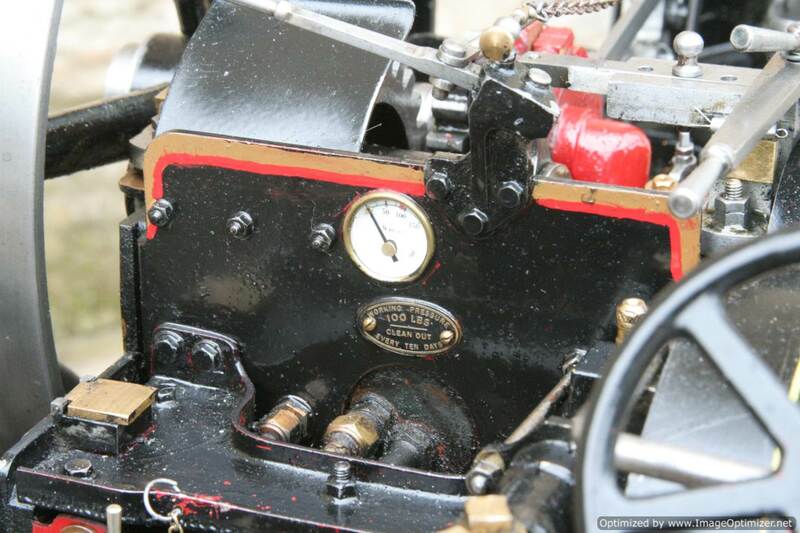 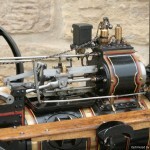 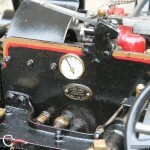 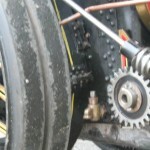 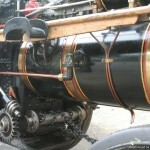 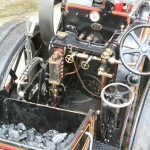 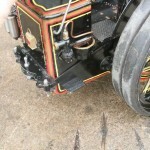 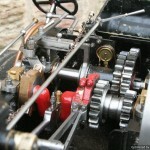 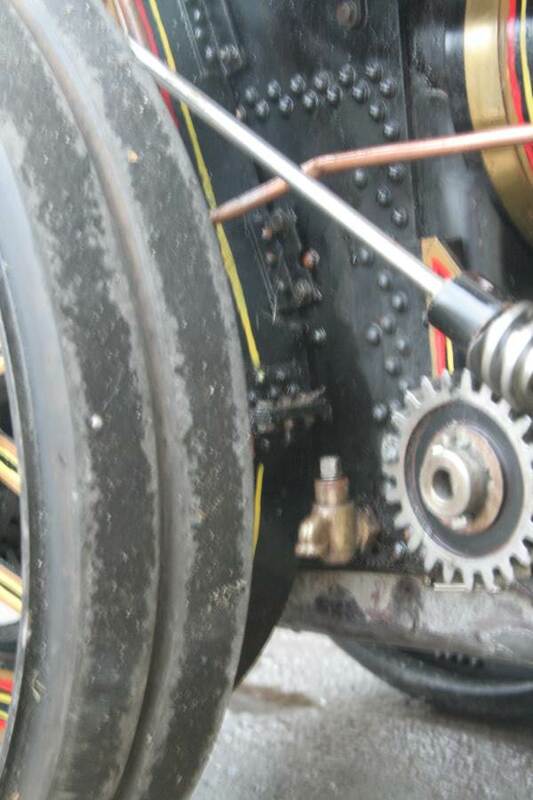 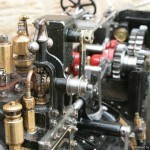 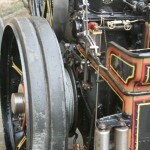 It gives a passable impression of the correct Fowler lining, but is obviously overly thick, and a bit wiggly! 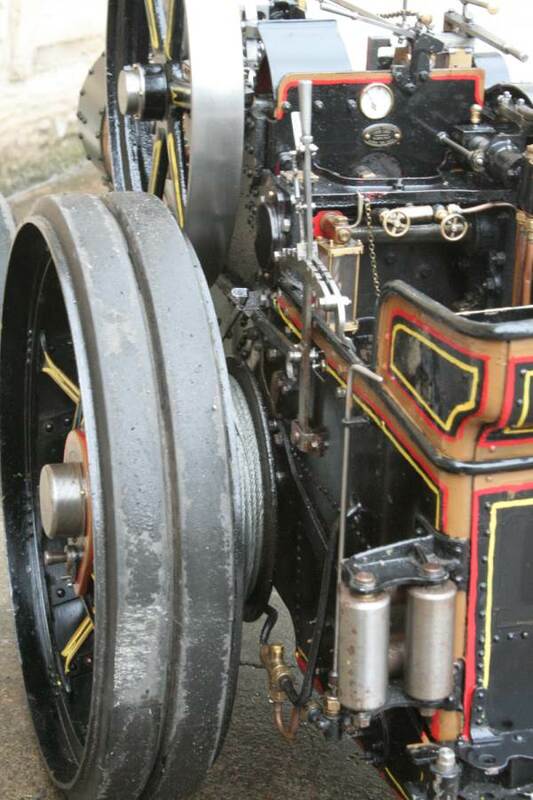 Mechanically though, and boiler wise, she is both well built and sound. 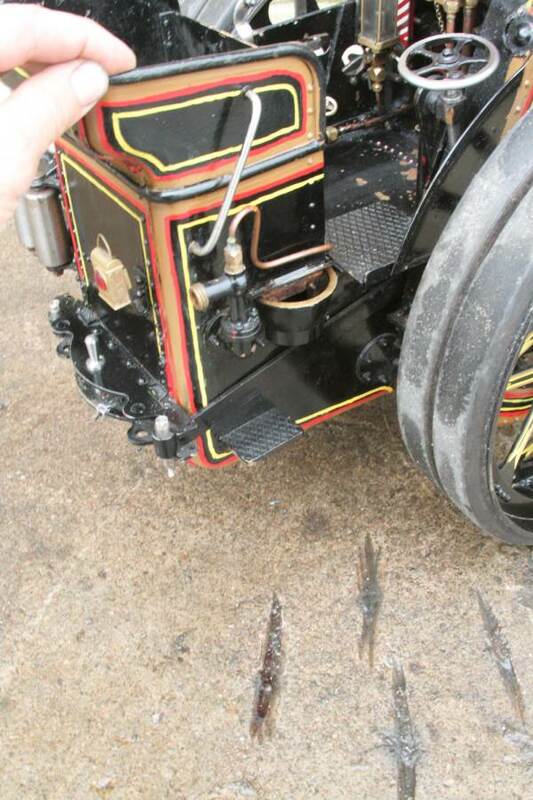 We’ve steamed her here in the works and this is a very sweet running little machine.